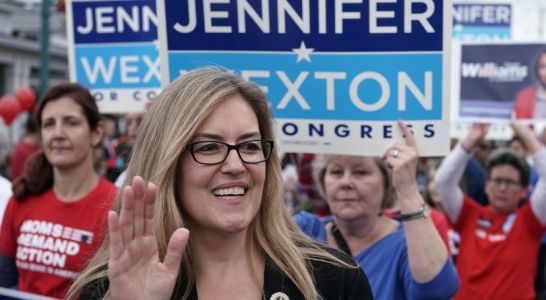 Democratic U.S. House candidate and Virginia State Sen. Jennifer Wexton waves to constituents during a parade on Oct. 20, 2018 in Haymarket, Virginia. In a pivotal election that was all about the future of the Trump era, the momentum of liberal politics in America rested, in large part, on the shoulders of women. Women head to House of Representatives in record number.